The term “www.pawsinncats.com” or “Paws Inn Cat Rescue” or “us” or “we” refers to the owners of the website and Paws Inn Cat Rescue, Weaverham, Cheshire, UK. The term “you” refers to the user or viewer of our website. You may not create a link to this website from another website or document without Paws Inn Cat Rescue’s prior written consent. We will only collect your data for purposes of rehoming cats. 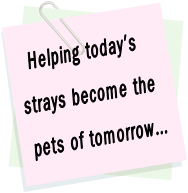 That data may include name, address, postcode, telephone number, certain demographics to allow us to prepare for our home checks prior to allowing a cat to be rehomed with you. The information we hold for you is private and we will not sell, distribute or lease your personal information to third parties unless we have your permission or are required by law. For the safety and security of the cats in our care, any data we make available to you, you will not sell, distribute or lease to third parties without our prior written consent or are required by law.